"GameCentral" redirects here. For the teletext publication, see Digitiser. Metro is the United Kingdom's highest-circulation newspaper, published in tabloid format by DMG Media. The free newspaper is distributed from Monday to Friday (excluding public holidays and the period between Christmas and New Year's Day) mornings on trains and buses, and at railway/Underground stations, airports and hospitals across selected urban areas of England, Wales and Scotland. Copies are also handed out to pedestrians. Metro is owned by Daily Mail and General Trust plc (DMGT), part of the same media group as the Daily Mail and The Mail on Sunday, but in some areas Metro operates as a franchise with a local newspaper publisher, rather than as a wholly owned concern. While being a sister paper to the conservative Daily Mail, the newspaper has never endorsed any political party or candidate, and claims to take a neutral political stance in its reporting. The Metro free newspaper concept originated in Sweden, where a publication of the same name was launched in 1995 by Metro International. British newspaper executives Jonathan Harmsworth and Murdoch MacLennan, from DMGT, were reportedly inspired by the idea and flew to Stockholm on a 'fact-finding mission' with a view to developing their own version. There were also reports in the late 1990s that both Metro International and Rupert Murdoch's News International were considering launching free newspapers in the UK which could be a commercial threat to DMGT's businesses. DMGT subsequently launched Metro, using the same name as Metro International's publications but with a different logo on Tuesday March 16, 1999. This UK version of Metro had no relation to Metro International or its sister newspapers in other countries. Metro was launched initially as a London-only newspaper with an original print run of 85,000 copies, which were distributed via dedicated bins in London Underground stations. The newspaper was produced at DMGT's printworks and office complex at Surrey Quays in south east London, away from the company's main newspaper office in Kensington, west London. In the years following its launch, the paper's distribution was gradually expanded to other major UK cities, including Manchester and Birmingham. By February 2003 Metro became operationally profitable for the first time. In 2004 its reach was extended further, becoming available in more urban areas including Nottingham, Bristol and Bath. Metro's circulation continued to rise in the following years, although readership temporarily dipped after the 7 July 2005 London bombings. There was a 1.8% decline - the equivalent of around 9,000 readers - in copies picked up in the weeks following the attacks due to a reduction in the number of people using London's public transport network, coupled with the temporary closure of some London Underground lines where Metro was distributed. Following several years of national expansion, in 2006 the newspaper's production was moved to DMGT's main newspaper offices at Northcliffe House in Kensington, west London. That same year the newspaper expanded further, launching in Cardiff and Liverpool in joint venture deals with Trinity Mirror. 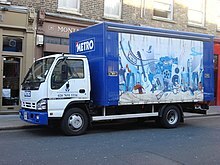 By 2011 Metro's distribution network had expanded to more than 50 cities in the UK. That year media commentator Roy Greenslade said the publication was now making "bumper profits" and dubbed it "Britain's most successful national newspaper". On 10 October 2005 Metro Ireland was launched in Dublin. It followed a legal battle over the title's name with the publishers of the Irish Independent and Dublin's Evening Herald, which launched its own free newspaper called Herald AM. Both titles were loss-making, despite having a combined circulation of 145,000 in the Greater Dublin Area. On 2 July 2009, it was announced that the two freesheets would merge under the Metro banner, an operation completed by 2010. However the Irish edition was closed down in December 2014. For the first time in its history, Metro temporarily published seven days a week during the 2012 Summer Olympics and the 2012 Summer Paralympics, providing free copies to spectators at the Games as well as the general public. The newspaper struck a reported £2.25 million deal with sportswear manufacturer Adidas to run cover wrap adverts on each of the 17 days of the Olympics. After more than a decade in charge, editor Kenny Campbell was replaced as editor by Ted Young in 2014. Young's appointment coincided with a number of changes at the newspaper, including the separation of the print and online editions, along with an expansion of Metro's distribution in the UK. In November 2016, comedian Richard Herring stepped down from writing his weekly column for Metro. Fellow TV comedian Dom Joly later replaced him in the slot. In 2017, Metro became the most-read newspaper in the UK, according to monthly National Readership Survey figures. In March 2018 Metro officially overtook The Sun in total print circulation, according to ABC (Audit Bureau of Circulations (UK)) figures. The majority of the newspaper's content is produced at Northcliffe House in Kensington, west London. There are no regional editions within England and Wales, except for occasional differences in sports and arts content catered to specific local audiences. A separate, small team produces a Scottish edition of Metro, however often the only substantial difference between the two versions is the front page. The newspaper is divided into three main sections—news, features and sport. The news section includes Guilty Pleasures, which typically contains two or four pages of showbiz and entertainment news, a letters page, and a page dedicated for business news. A popular feature of the letters page is Rush Hour Crush, in which readers send in anonymous messages to fellow users of public transport who they consider attractive. The daily column has led to at least one marriage. The news section also features occasional feature columns from political pundits such as Sophy Ridge of Sky News. However, while offering analysis, these columns do not typically express endorsements of political positions or candidates, thus not being considered as op-ed columns as in other newspapers. The features section contains a mix of articles on travel, homes, style, and health, science, as well as arts coverage and entertainment listings. The puzzles page currently features a crossword and Sudoku. Metro launched a website version of the newspaper in July 2001. Between 2001 and 2014 most print edition articles were published on this website, along with additional online-only content such as blogs and opinion columns. The newspaper's content is now published online on a separate website. In the run-up to the United Kingdom general election, 2015, the-then UK Independence Party leader Nigel Farage refused to be interviewed by Metro after accusing the newspaper of being biased against his party. This was denied by the newspaper's editor. All other national party leaders agreed to be interviewed, including Conservative prime minister David Cameron and Labour leader Ed Miliband. Prior to the United Kingdom European Union membership referendum, 2016 Metro published a front-page cover-wrap advert on behalf of the Leave campaign, paid for by the Democratic Unionist Party. The following day the newspaper published another cover-wrap advert, this time from the Remain campaign. Editor Ted Young said both adverts, which each cost more than £250,000 to place, generated around 300 complaints each, accusing the newspaper of both pro and anti Brexit bias. Questions were subsequently raised as to why the Democratic Unionist Party placed an advert in Metro, because the newspaper does not publish in Northern Ireland. Metro has faced competition in parts of the UK from other free newspapers, along with rivalry from paid-for national titles. Current editor Ted Young has said his 'mantra' is to produce a newspaper which its readers would be willing to pay for. Metro International attempted to launch its own UK edition in 1999, being distributed in Newcastle upon Tyne's Tyne & Wear Metro system competing with DMGT's Metro. After battling alongside each other with the same name, Metro International's Metro changed its name to Morning News. This attempt was short-lived however, and Morning News was discontinued shortly afterwards. In 2005 Rupert Murdoch said he was "worried" by competition from Metro and that it had damaged the circulation of his own newspaper The Sun. He told a press conference he was watching the free newspaper market "keenly and apprehensively". Murdoch's News International subsequently launched a London-based evening freesheet in 2006 called The London Paper. This was closed on 18 September 2009. London Lite was another free, evening newspaper published in central London only from 2006 to 2009, at the time owned by the same parent company as Metro, and was seen as a 'spoiler' to protect against the commercial threat from The London Paper. Another rival is the London Evening Standard, which became a freesheet in 2009, although unlike Metro it is only published in the London region. Metro launched two new mobile app products in 2016: 11versus11, which is a football news app, and Guilty Pleasures, a celebrity news app. Both apps offer personalised content based on a user's interest profile. 11versus11 won the Best Lifestyle, Sports & Entertainment App award at the 2017 European Digital Media Awards. ^ a b c "The Sun is toppled as Britain's biggest newspaper". The Economist. London. 22 March 2018. ^ a b "Ten years on, and Metro has turned London into free-for-all". The Guardian. London. 8 March 2009. ^ a b c d e "Metro at ten". Campaign Magazine. London. 6 March 2009. ^ "Metro newspaper moves into city". BBC News. London. 24 May 2004. ^ "Metro newspaper comes to the West". BBC News. London. 31 May 2004. ^ "Metro hit as commuters avoid London Underground". The Guardian. London. 12 August 2005. ^ Luft, Oliver (16 March 2009). "Metro newspaper celebrates 10 years of publication". The Guardian. Retrieved 15 May 2015. ^ "Metro to shut regional editorial offices". The Guardian. London. 28 August 2009. ^ "Profitable Metro can't stop making money, but we still need 'proper' newspapers". The Guardian. London. 26 January 2011. ^ Cozens, Claire (10 October 2005). "Battle commences over Dublin freesheets". The Guardian. Retrieved 10 October 2005. ^ Luft, Oliver (2 July 2009). "Rival Dublin freesheets Herald AM and Metro Ireland to merge". The Guardian. Retrieved 22 January 2011. ^ "London Olympics give boost to media". BBC News. London. 14 August 2012. ^ "Adidas in £2.25m deal to run Metro cover wraps during London Olympics". The Guardian. London. 26 July 2012. ^ a b "Metro's Ted Young: 'Our job is as an anchor, telling the basic story'". The Guardian. London. 18 October 2015. ^ "Metro 242 - FINAL COLUMN". richardherring.com. ^ "Metro becomes UK's most-read daily newspaper". ft.com. 7 March 2017. ^ "Metro's Rush-Hour Crush sparks marriage proposal". www.metro.co.uk. Retrieved 17 July 2018. ^ "Sophy Ridge– Twitter". www.twitter.com. Retrieved 17 July 2018. ^ Reporter, Metro (17 July 2001). "Britain's first urban national newspaper goes online". Metro.co.uk. ISSN 0261-3077. Retrieved 9 July 2018. ^ Sweney, Mark (5 March 2014). "Metro website to be folded into Mail Online". The Guardian. ISSN 0261-3077. Retrieved 16 June 2017. ^ "Metro Newspaper UK". Metro Newspaper UK. Retrieved 11 February 2019. ^ "Who says millennials don't read newspapers?". Press Gazette. London. 24 March 2017. ^ "DUP spent £282,000 on Brexit ad that did not run in Northern Ireland". The Guardian. London. 24 February 2017. ^ "Murdoch: Metro has hit the Sun". The Guardian. London. 2 February 2005. ^ "The London Paper set to close". The Guardian. London. 20 August 2009. ^ "After London Lite's inevitable closure, what next for capital's newspapers?". The Guardian. London. 27 October 2009. ^ "London Evening Standard to go free". The Guardian. London. 2 October 2009. ^ "Metro launches personalised football mobile news app 11versus11 – Press Gazette". www.pressgazette.co.uk. Retrieved 16 May 2017. ^ "11versus11 scoops European Digital Media Award". www.dmgt.com. Retrieved 16 May 2017. This page is based on the Wikipedia article Metro (British newspaper); it is used under the Creative Commons Attribution-ShareAlike 3.0 Unported License (CC-BY-SA). You may redistribute it, verbatim or modified, providing that you comply with the terms of the CC-BY-SA.